Comic Life users will now be able to create single page comics by dragging and dropping images, thanks to a new version of the comic-creation software announced by Freeverse on Tuesday. Comic Life 1.5 also adds the ability to import comics and simplifies page duplication. In addition, Comic Life users can now access iPhoto Events will making a Quick Comic. The new version sports several improvements including enhanced selection of multiple items, better resizing performance, several translation fixes, and more. 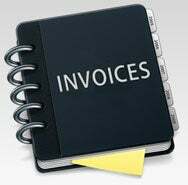 The ability to create custom reports of your invoicing history leads the changes introduced in the latest version of Involer, an invoicing application for home and small businesses from The Dream Apps. Involer 1.3 also adds a Delivery Labels feature where one click prints a delivery label already addressed to your customer along with the return address and order number. Other changes include new date pickers throughout the program, the ability to add more text in the invoice notes, and bug fixes. Dejal has released BlogAssist 2.2.2, the latest update to its blog-posting utility. The new version fixes an issue with the program not locating its license, removes the old crash reporter, and stops the program from adding itself to a user’s Login Items at launch. 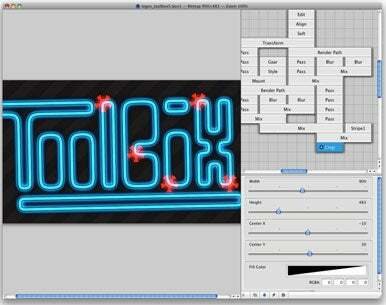 Opcoders updated its OS X graphics editor GraphicDesignerToolbox to version 1.1 Tuesday, adding five new building blocks aimed at helping Web designers create graphics. Opcoders describes GraphicDesignerToolbox as a modular synthesizer for computer graphics with 88 building blocks that users can combine to create and edit Web graphics. The new blocks added in version 1.1 include a Chaos block for generating IFS fractals; a City block for generating procedural cities; a Blendmap block for z-blur effects; a Matrix block for convolution matrix operations; and a Quilt block that generates quilting patters. Anthropics Technology released on Tuesday Portrait Professional 9, the latest version of its photo-editing and enhancement software. Version 9 adds the ClearSkin technology, which can automatically remove skin defects from photos, as well as an intelligent touch-up brush and new support for profile shots. In addition, Portrait Professional 9 now supports multi-processor machines and is available as a Photoshop plug-in.